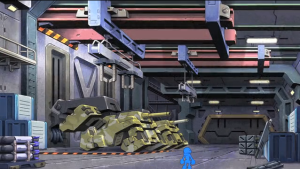 Megaman’s Spiritual Successor Mighty No 9 is Fully Funded and XBusting Goals! For many of us, the Megaman franchise has always been one of the greatest. The many different series it had, such as the original Megaman, Megaman X, NT Warrior, Legends, and others were some of the best memories a gamer could have! I’m still playing the original Megaman X to this very day! But as we all know, Megaman is owned by Capcom, and many of us were disappointed in the way they’re handling the Megaman franchise. They initially showed that Megaman Legends 3 was in development, canceled it, and then tried to blame the fans for the cancellation! “No support from fans.” they said. Well, that’s where Mighty No. 9 comes in! He’s the spiritual successor to the Megaman franchise; and he’s created by none other than the original illustrator & co-creator of Megaman: Keiji Inafune. In Might No. 9, you play as Beck, a powerful robot who steals weapons from other robots, fights the evil robots that have been infected with a virus causing them to go…MAVERICK, and all this takes place within a side scrolling adventure where you “Run, Jump, blast, and transform” your way through. Sound familiar? 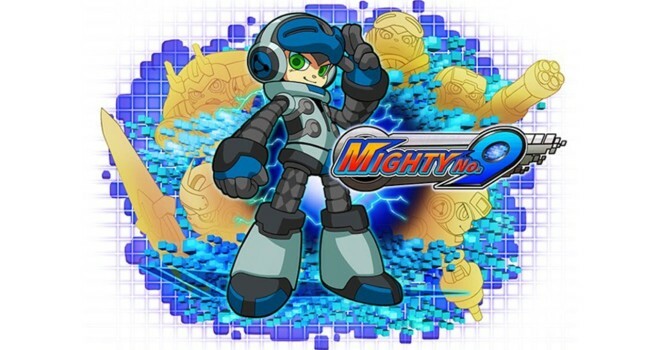 Inafune’s vision of Mighty No. 9 came to life on Kickstarter, where they reached their goal of $900,000 in just a single day, and now they’re breaking through their stretch goals! With the phenomenal community support, they’ve unlocked two additional stages, Mac/Linux versions of the game, and new game plus & turbo mode! The Kickstarter currently has $1,736,522 pledged, and the documentary on the development will soon be unlocked. As of right now, the game will only see a release on PC platforms: Windows, Linux, and Mac; but if the community keeps supporting it as they have been, you’ll see the game released on PS3, 360, and WiiU. If you’re a fan of Megaman, and want to Might No. 9 reach new heights, then I implore you to please contribute! Man, this is what happens when Capcom doesn’t step up their game. This comes to show that people want a real game, not something milked by a company, but a game that was built by heart, soul, and a heavy sense of dedication. Video Games need a new revolution, a way to make the games we make now a nostalgia for the future. I believe if mighty no. 9 becomes successful then other creators will have the dignity and courage to make something that will push a revolution. But, that’s just my two cents. I am excited for this game. Mighty No. 9 is likely going to be a great game and I will surely contribute to this.